Tough Economy. Dependable Equipment Partner. In challenging times, many competitive dealers fold-up and go away. 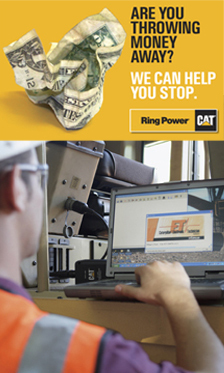 That is not the case with your trusted Cat Dealer, Ring Power. 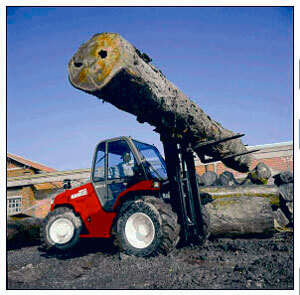 We offer equipment for your jobsite, service and support that outlast the hard times as well as the good times. Machines that can outwork anything else in your fleet and still deliver lower fuel consumption and lower operating costs. Equipment Service - Ring Power has over 150 construction equipment service vehicles covering the entire north and central Florida. Ring Power’s Cat Rental Store has dedicated service vehicles plus onsite Preventative Maintenance lube trucks. 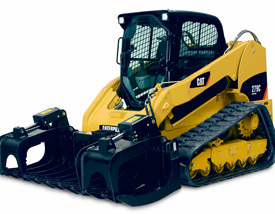 Cat Construction Equipment Lineup – Our competitors carry multiple brands of equipment (Komatsu, Deere, Kobelco, etc.) Caterpillar is one brand/one vendor for parts. If we have to swap machines, it will be a Cat machine. Your operator will be in a machine he is familiar with and be more productive. The competition will substitute any brand, which can create confusion to the operator. Field Serviceability – We dispatch certified Caterpillar mechanics and Caterpillar parts for Caterpillar machines. The competition services multiple brands, which slows down response time in the field. Competitors spend more time "assessing" situations in the field and locating correct parts, which causes more downtime. 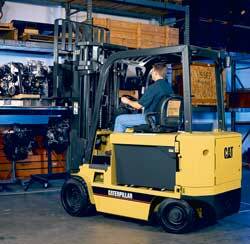 Resale Value - Caterpillar machines consistently generate higher resale values. Our previously owned allied products are often purchased by our competitors, which is a testament to the quality and service history of our fleet. We carry Genie manlifts, boomlifts and light towers, JCB dumpttrucks and rough terrain forklifts, Vac-Con vacuum trucks, Sullair portable air compressors, Lay-more sweepers, Lull tellehandlers, Kawasaki Mules, and Terex Utility Trucks and digger derricks. Parts Availability – Caterpillar has the best parts availability in the industry, which equates to less downtime for you. Cat Access Account – The ability to have a credit line with CAT Access Account helps transient contractors perform interstate work easily. Locations and Fleet Size – Centralized dispatch for 13 locations with more than 2,450 rental machines allows us to move equipment where needed and share fleet resources for our customers’ benefit. Stop by one of our 15 locations through north and central Florida, reach us by phone 888-748-7464 or info@ringpower.com for your daily, weekly, monthly or long-term rental. Things to keep in mind when choosing an on-site fuel storage tank. it is a competitive market. 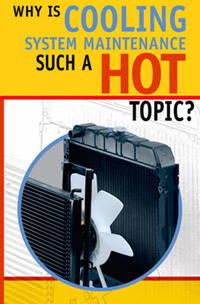 With so many options available for on-site fuel storage tanks, how do you choose? Common sense says that you should obtain the highest rated tank you can afford. When selecting an aboveground storage tank (AST), ask your insurance company for input because they have an interest in minimizing your liability. Then, contact the local authority having jurisdiction (typically the fire marshal). They will not make specific manufacturer recommendations, but can give specific guidance. Always take a good look at the manufacturer. Even though they may offer an extended warranty of 20 or 30 years, that warranty will be worthless if the manufacturer goes out of business before then. And understand: Just because you may be allowed to install a UL142 tank instead of a UL2085 tank, the savings generated from such a decision won’t begin to pay for the cost of a cleanup. And finally, make sure that you obtain all of the proper approvals, and that you prepare and implement a Spill Prevention and Countermeasures (SPCC) plan as required. Failure to prepare an SPCC plan violates federal SPCC regulations (40 CFR Part 112.3[b]) and could cost your business tens of thousands of hard-earned dollars! Phoenix Products, a division of Ring Power Corporation, is a leading manufacturer of fueling systems for the reciprocating engine power generation industry. Few companies have more experience designing integrated fuel systems and packaging generator sets, whether for standby power, prime power or peak shaving power applications. For more information about Phoenix Products generator set enclosures, fuel tanks and petroleum recycling services, visit www.phoenixprods.com.